Hello friends! I know that it has been a while since we have posted. I wanted to first let you know that everything is fine with us, and we appreciate all of the notes and emails that we have received from you all. No one is facing a life threatening illness, and neither of us is living under an overpass. Life is actually wonderful for me, Blaire. 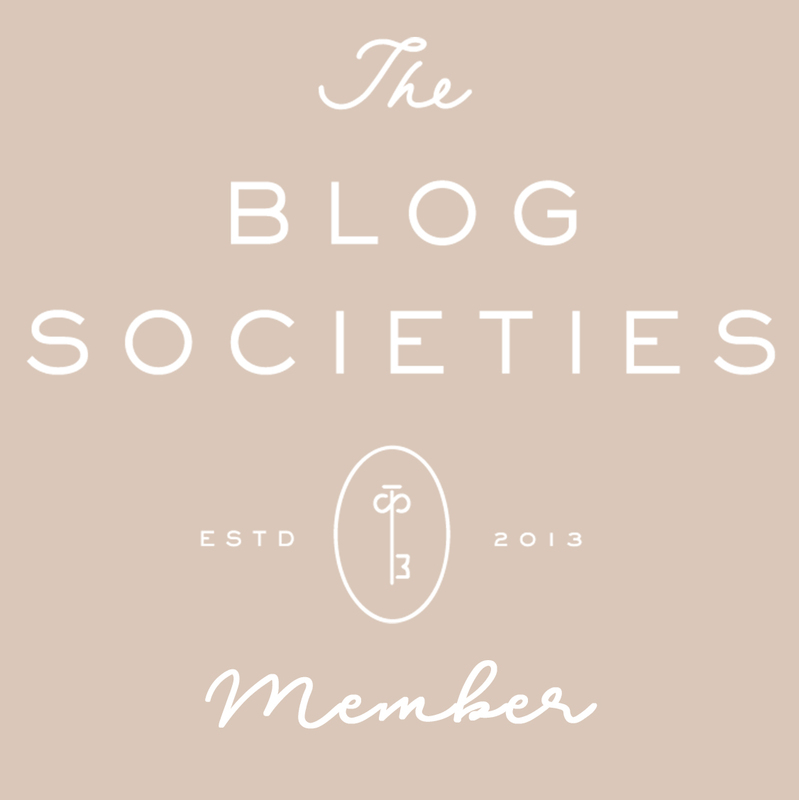 I have been so busy keeping up with my 3 kiddos that the blog has had to take a back seat. We aren’t quite sure what the future holds for Peaches In A Pod for right now. We do appreciate your patience as we navigate this new road in our lives. Not knowing what the future holds for this blog has left me with the question of what I wanted to share next with you all. I decided to discuss my skin care journey with you that I started a couple of years ago. I have been meaning to share all of this for a while, but it always took a back seat to summer style, as well as Nordstrom sales. This is an issue that I feel is so important, and one that I feel like is a great one to leave you all with. A lot of you don’t know my age, and I never really openly shared it. Let’s face it, it’s hard enough to compete with these adorable 20 something bloggers. I’m actually 41 years old, and I have to say that I am very proud of that. I have become somewhat of an anti-aging maverick. At least I think so. This is one reason why I am sharing this journey with you. Before I start, I do want to reiterate that I am over 40 and what has worked for me may not work for you. I am not a professional in any way. Now that that is out of the way, let’s start from the beginning. A couple of years ago, I started noticing some redness on my cheeks along with the beginning signs of wrinkles. The wrinkles did not bother me as much as the redness and broken capillaries that I started to see. Like anyone else, I turned to beauty stores and started reading countless reviews. After trying and returning several products, I decided that It was time to do something different. I called a local dermatologist that I had been going to and set up an appointment with their aesthetician. BEST DECISION EVER! You guys, if you take anything away from this post, it’s to stop spending money on skin care at beauty stores! It’s a waste! Now I’m not talking about you cutie pie 20-30 year olds. But, if you are really serious about skin care, you have to see a professional. She immediately set me on the right track and I started to see immediate results. Not only were my wrinkles fading away, but I noticed improvement in all of my skin issues. This is what she did. Retin-A regimen– Everyone should be on a retin-A regimen. Retin A is known for improving acne, diminishing lines, wrinkles and improving texture. It also stimulates collagen in your skin improving appearance over time. This is the one that was recommended for me. I definitely recommend that you see a professional for this product. This is one that you have to start slowly with and work your way up. Medical Grade Skin care– Let me hop up on my soap box here. You guys, I will never go back to any other type of skin care. Basically, if a doctor’s office does not sell it, I don’t use it. 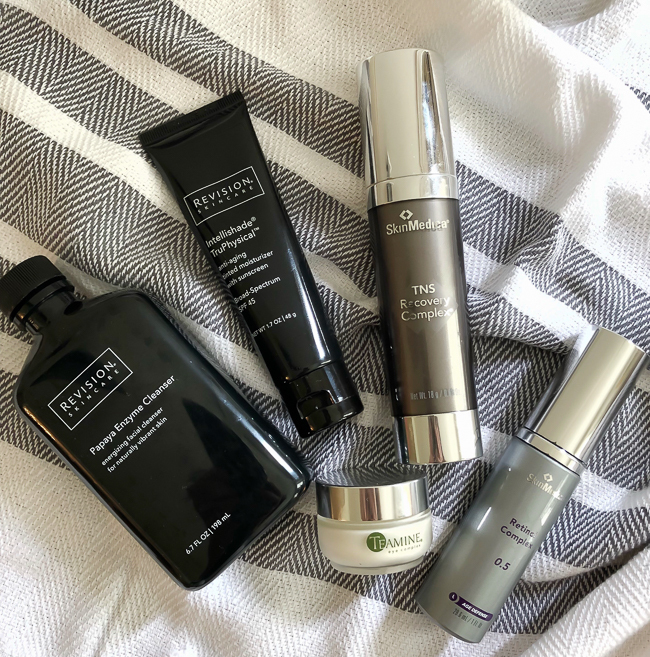 There is so much science behind these products, and I have never had better looking skin. I know that a lot of these products can be pricey, but you just have to decide what works best for you and invest in those. My two favorite lines are Revision Skincare and SkinMedica. I use the Revision cleanser, eye cream, and the Intellishade. I am obsessed with the Intellishade line. It’s my daily spf, moisturizer and foundation rolled into one product! The only two products that I added to my routine from Skinmedica are the Retinol and TNS Essential serum. These 2 powerhouses are the work horses of my skin care routine. If I had to cut down to 2 products, it would be these. There are several ways to save on these products, for instance my doctor’s office has a rewards program that helps a ton. It took a couple of months of working with my aesthetician to nail down the perfect regimen. I tried a couple of things that were a little too harsh, and a couple of things that I just did not like. In the end, I was extremely happy with the whole process. 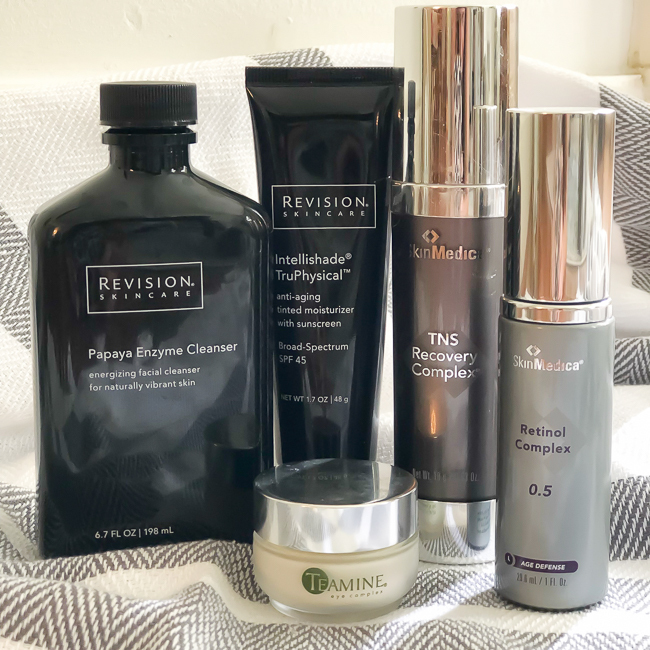 Not only did I find the right products for me, but I also improved my skin’s appearance. I still have a couple of issues that I am dealing with. I continue to have redness, but I have learned along the way that my diet plays a huge role in that. As a matter of fact, I did this skin cleanse last spring that was life changing! I could write another whole blog post on this topic alone, but it really solved most of my redness issues. The other trigger is vigorous exercise, but I am not willing to give that up…or wine. I also constantly struggle with the bags and crepey skin under my eyes. Have you ever noticed why I wear sunglasses in ALL of my outfit shots??? Now you know! I am definitely ready to take other steps to try and solve these issues, which leads me to the next stage of my journey. Will it be botox, fillers, lasers, medicine men? I don’t know, but I can’t wait to share what I decide to do with you all. I hope you will continue on this path with me, if nothing more than giggle at needles being shoved in my face because you know I will make Whitney record everything! This post was not sponsored by any of the aforementioned brands, and all opinions expressed are my own. But hey, Revision and Skinmedica, this gal would love a couple of products thrown her way for the shout out! I’ve missed y’alls posts! I’d gladly take your skin recs because you have the prettiest skin!! I have missed you both and the sweet sunshine you add to the blogging world but to be honest, you both have young families and you have to live in the moment with them! I agree 100% – if you want good skincare you MUST see a professional. Doctor’s offices sell products that are so much better and with higher levels of active ingredients that you can’t buy anywhere else. Great post! And you my darling look amazing! Decent blog! Its incredible results of hostile to maturing cream. Hostile to maturing wrinkle cream is of significance in making your skin even and decreases the perceivability of thin lines and wrinkles that show up on your skin because of presentation to sun or maturing. I am utilizing Anni Mateo hostile to maturing cream all over on a day by day it’s truly work better for my sparkling and more youthful skin.Thank you for imparting to us.